How much is Steven Spence Worth? Steven Spence net worth: Steven Spence is an American musician and composer who has a net worth of $75 thousand dollars. Steven Spence is best known for being the drummer and keyboardist for the heavy metal band Black Tide from 2006 to 2013. He played on the Black Tide albums Light from Above in 2008 and Post Mortem in 2011 which both reached #73 on the Billboard 200 chart. He took over for drummer Raul Garcia and was replaced by Tim D'Onofrio and later Cody Paige. Spence taught himself to play guitar and piano by ear and also taught himself how to play drums. His uncle played keyboard for the band The Wailers. 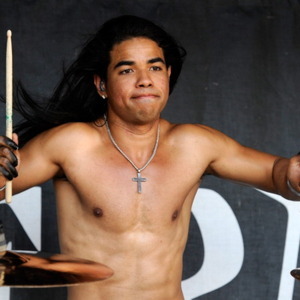 In 2009 he was named an "Up and Coming" artist by the Modern Drummer Readers' Poll and won the Vans Warped Tour Drum Off. He is a composer and DJ and has collaborated with artists including The Mowgli's, Clinton Sparks, and Kalin and Myles.